We recently came across this document while rummaging through some old New York City police files. 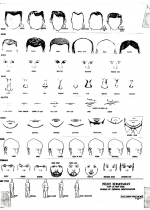 It seems the chart was once used to help cops and victims ID criminal suspects (or "perps" as they say in the biz). 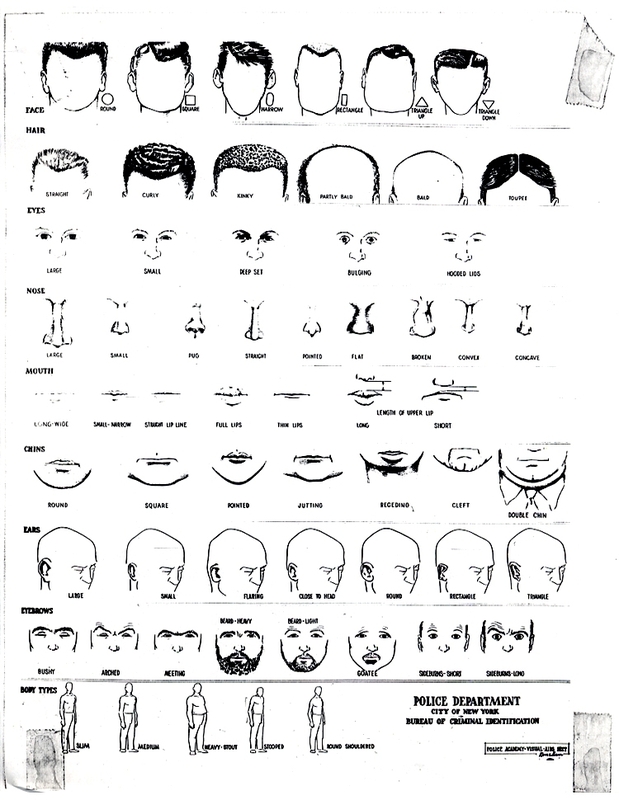 But nowadays, with computer imaging and fancy sketch artists, this handy guide appears useless--except, perhaps, as a source of kitschy clip art.